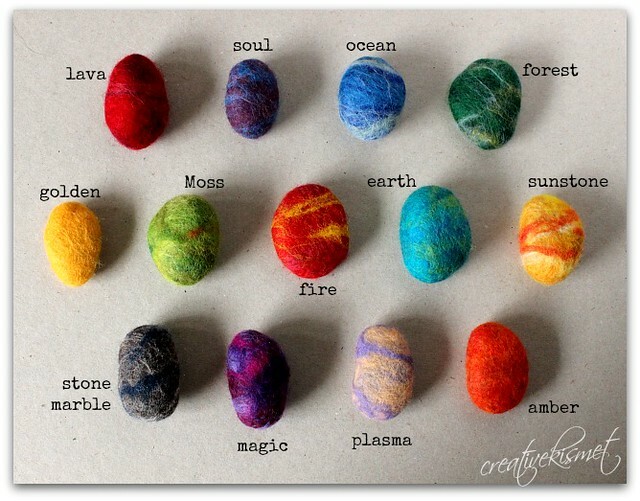 I’ve been wanting to make felted rocks for ages, but never had the supplies or know-how. 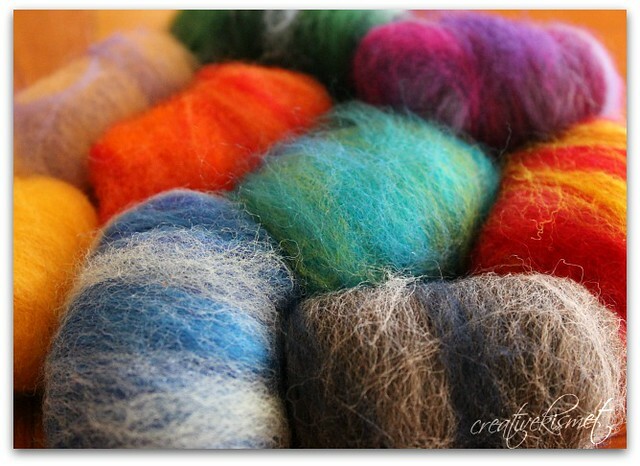 With a bit of felt roving at my fingertips, we decided to jump in and finally make some. I found THIS wonderful tutorial by LilFishStudios and we got started. 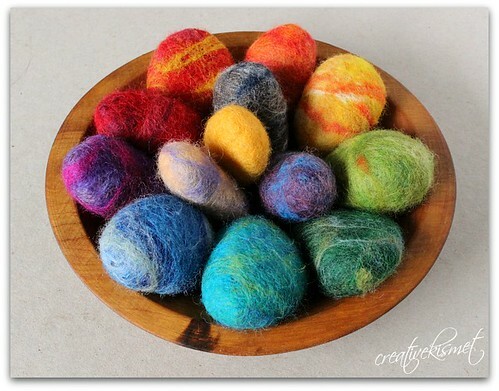 Here are our cute little felt rock bundles. My I-guy picked ALL of the colors himself. He wanted almost all of them to be “swirly” looking. the wet felting is the funnest part. At first the wool feels really loose and squishy. Just when you think it will never get tight around the rock, it magically does. We had so much fun that we made 13 rocks. We had only planed to make 6 at first, but quickly realized that we needed to make a rainbow of rocks. My I-guy had to give them all names so I could make this “chart”. 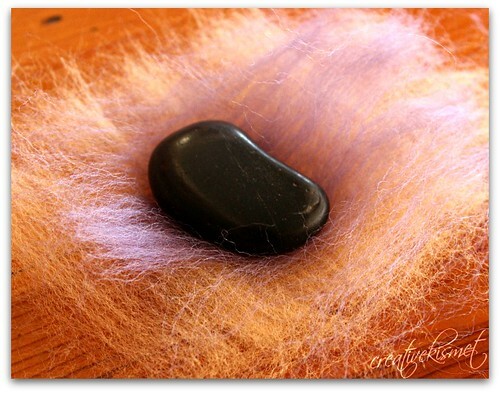 We do this with our gemstones whenever we go to the rock shop so that we won’t forget their names. I love this little wood bowl of rocks. Next, I want to try to crocheting rocks, like these crochet covered sea stones. It’s on this list along with a million other things! 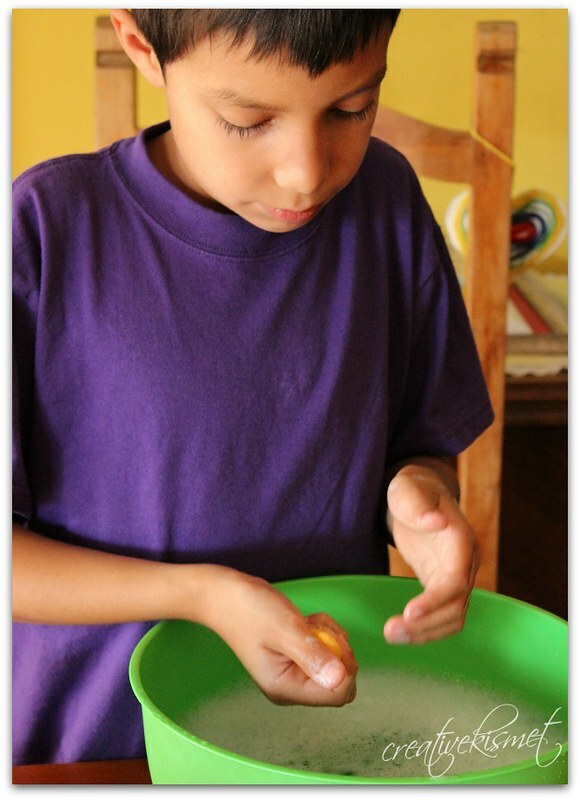 This entry was posted in Family Life, Fun kid stuff, i make stuff. Bookmark the permalink. I love the rock chart! I think I’ll be trying this project out on my next free weekend. 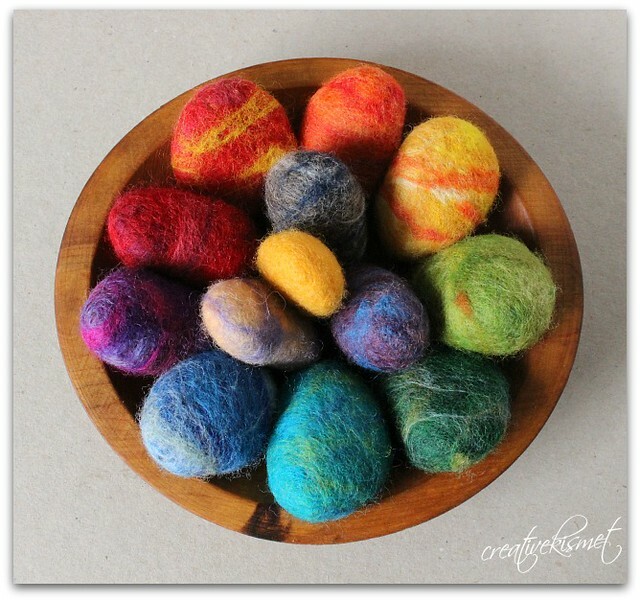 These felting projects that you are posting really make me want to dig out the roving. And…Yay! 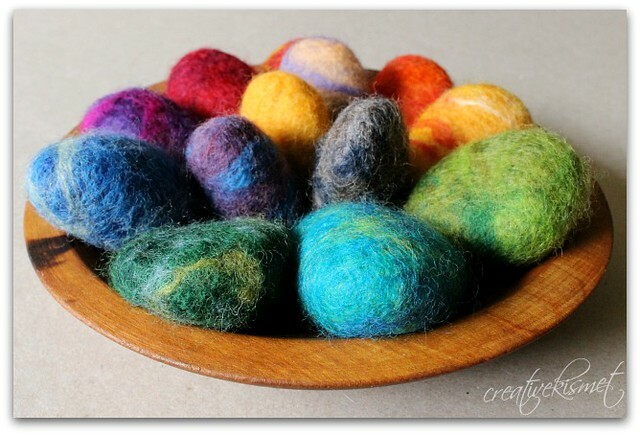 I see my name listed as a winner of your Felted Flowers Giveaway…so exciting! What a great idea! Those are so cool! And fun to have around the house! These are so cute! 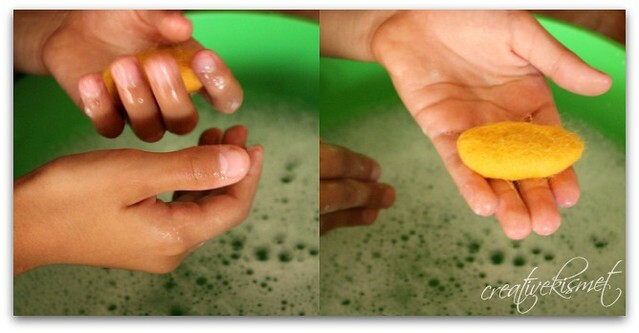 Great activity for kids. Those are great! He did a wonderful job naming them too!